Train services on the North-South Line, East-West Line, Circle Line and Bukit Panjang LRT as well as select bus services will be extended on Deepavali Eve this Friday (Oct 28), according to SMRT. 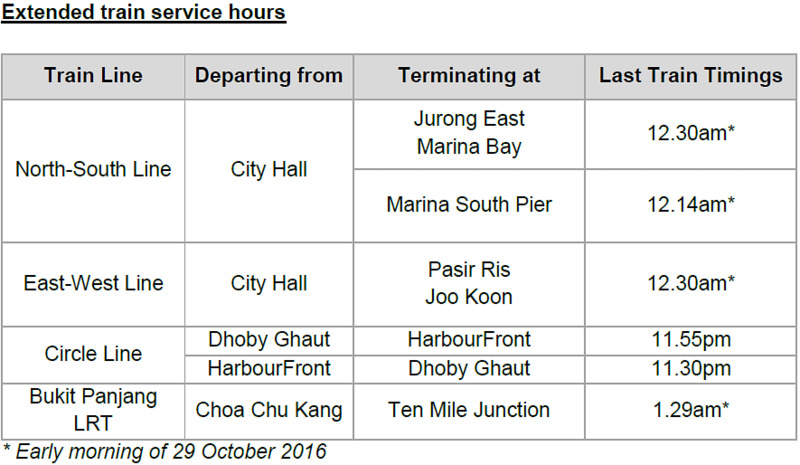 SINGAPORE - There will be train and bus service changes as well as road closures this Deepavali weekend from Friday (Oct 28). 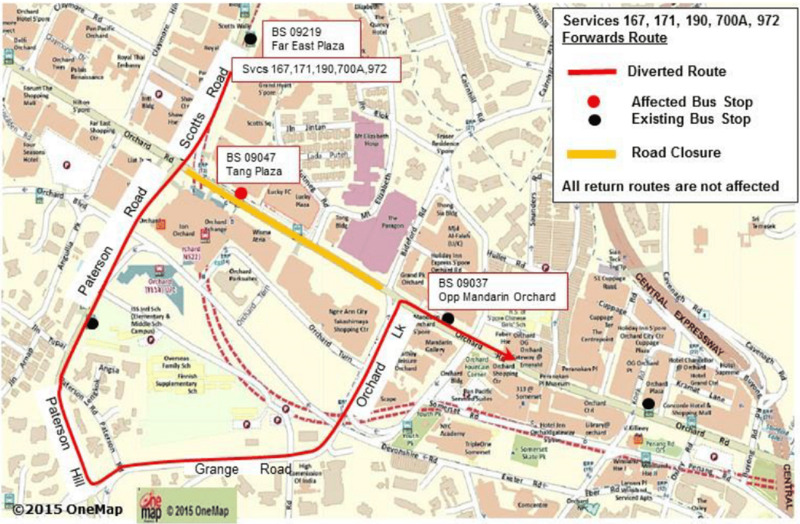 Due to the SJ50 Matsuri Friendship Parade event on Saturday (Oct 29), SMRT bus services 167, 171, 190, 700A and 972 will skip bus stop 09046, located in front of Tang Plaza, along Orchard Road. Members of the public may contact the SMRT Customer Hotline at 1800-336-8900 from 7.30am to 6.30pm on weekdays (excluding public holidays) or visit www.smrt.com.sg for more information. From 4pm on Friday (Oct 28) to 4am on Saturday (Oct 29), Burmah Road and Birch Road (between Serangoon Road and Farrer Park Station Road) will be closed due to the Deepavali Fair 2016. During the road closure, access will only be granted to police and emergency vehicles. Vehicles found parking and causing obstruction will be towed and parking restrictions will be strictly enforced.